Each year, countless people buy, sell or refinance their home. Most of these transactions include a line item for an appraisal. It has become a necessary part of a real estate transaction. Financial companies do not want to loan more than a property is worth, nor do potential buyers want to spend too much on the property. However, there are other circumstances when the services of a licensed, independent real estate professional are quite useful. A real estate appraiser can help in these situations. While it may not be economical to have a complete appraisal performed to save a few hundred dollars on your tax bill, Buckeye Appraising, Inc. can perform a “limited appraisal” or neighborhood analysis for much less. These documents can carry significant weight with an appeals board. Private Mortgage Insurance or PMI is the supplemental insurance that many lenders require when the amount being loaned is more than 80% of the value of the home. This additional payment is usually rolled into the monthly mortgage payment and is quickly forgotten. However, PMI becomes unnecessary (according to federal law) when the remaining balance of the loan, whether through market appreciation or principal pay-down, drops below this 80% level. This law is known as The Homeowners Protection Act of 1998. 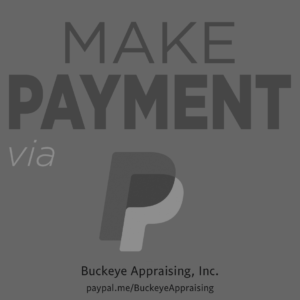 Buckeye Appraising, Inc. offers a specific service known as a “Desk Review” for homeowners that believe they have met the 80% loan-to-value metric. For a nominal fee, we can provide you with a statement regarding the home value. The costs of this service are very often recovered in just a few months of not paying the PMI. Before someone decides to sell a home, there are several decisions to be made. First and foremost: ”How much should it sell for?” But there may be other equally important questions to ask: ”Would it be better to paint the entire house first?” ”Should I put in that third bathroom?” ”Should I complete my kitchen remodel?” Many things which we do to our houses have an effect on their value. Unfortunately, not all of them have an equal effect. While a kitchen remodel may improve the appeal of a home, it may not add nearly enough to the value to justify the expense. Buckeye Appraising, Inc. can help you make these economic decisions. Unlike a Realtor, we have no vested interest in what amount the house sells for. Appraiser fees are based on their efforts, not a percentage of the sales price. Thus, a professional appraisal can often help homeowners make the best decisions on investing in their homes and setting a fair sales price.  For general information on home improvement paybacks, check out our Remodeling Payback Tips. Here too, Buckeye Appraising, Inc. can help. Often the first step in fairly disposing of an estate is to understand its true value. Where property is involved, the appraiser can help determine the true value. At this point, equitable arrangements can more easily be arrived at among disputing parties. Everyone walks away knowing they have received a fair deal.